CoolSculpting® is a non-invasive procedure that eliminates stubborn fat safely and effectively, without surgery or downtime. This revolutionary fat reduction treatment is the only FDA-cleared procedure to use controlled cooling to safely target and reduce fat in common problem areas that are resistant to diet and exercise. CoolSculpting results are proven, noticeable, and lasting, so you’ll look and feel great from every angle. 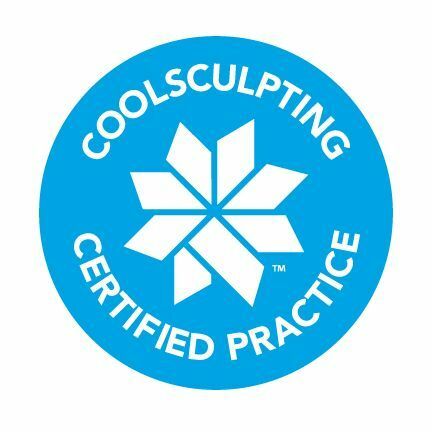 Why should Ageless & Beautiful be your provider for CoolSculpting? This month you can save 25% off CoolSculpting, only at Ageless & Beautiful! Sign up for a FREE consultation to find out if CoolScultping is right for you, and to take advantage of our limited time special. Just fill out our request form or call us for information. Our CoolSculpting experts will develop a treatment plan to reach your body goals within 60-90 days. The new CoolSculpting applicators at Ageless and Beautiful are designed for greater patient comfort during treatment and faster treatment times. Studies show the newer applicators are just as effective as previous models while treating increased surface area, and producing less bruising. Our dedicated and skilled staff have undertaken extensive training in the CoolSculpting procedure, giving them the expertise to propose the best treatment plan for each patient’s individual goals. This month you can save 25% off your Coolsculpting treatment, exclusively at Ageless & Beautiful! Sign up for a FREE consultation to find out if Coolscultping is right for you, and to take advantage of our limited time special. Fill out the form below or call us for information today. Fill out the form below and we will contact you to confirm your appointment. By clicking “Submit”, I consent to be contacted about my request for information including, without limitation, by providing information, offers or advertisements by telephone call or text message to the number(s) I have provided on this form (including any cellular number) and by email and/or live agent. Swipe left or right to see all photos. During the procedure you may experience deep pulling, tugging, pinching, numbness or discomfort. Following the procedure, typical side effects include temporary numbness, redness, swelling, bruising, firmness, tingling, stinging and pain. Currently, in the United States, the CoolSculpting process is FDA-cleared for fat-removal procedures on multiple locations of the body. CoolSculpting delivers successful results in eliminating cellulite. It can be used to reduce visible fat pockets on the abdomen, outer thighs, inner thighs, upper arms, lower stomach, buttocks, flank, back, and under the chin. Trained professionals use this procedure to target individual pockets of fat in specific areas. Coolsculpting is sold by the Cycle. A cycle, is one applicator applied to one area of the body for one session. A single cycle of Coolsculpting typically ranges from $750 to $800 unless being offered on special. The number of cycles you need to reach your goals depends on the size of the area that needs treatment and the amount of fat that is in each area. An area like the abdomen may require 2 cycles per side or up to 4 cycles. Check out our cost of Coolsculpting guide to get an idea of the cost for the areas you have in mind. In your Coolsculpting consultation our experts will take these factors into account and give an customized Coolsculpting plan which will determine the cost. On average a patient will require multiple cycles to reach their body goals. Compared to alternatives like liposuction it is less of an investment in money and time while delivering powerful results. When Did You Notice The Results? Coolsculpting is optimal for women and men who have small to moderate amounts of fat in common problem areas like the abdomen, lower stomach, love handles, lower back, mid back, thighs, arms and under the chin. Individuals who have only thirty or fewer pounds to lose are good candidates. Its great for those who want to sculpt and target fat that is resistant to diet and exercise. One Coolsculpting treatment can result in up to a 25% fat reduction of the treated area, multiple treatments may be recommended. Maintaining a healthy diet and participating in a regular exercise routine enhances your results. The Food and Drug Administration (FDA) has already cleared the CoolSculpting procedure as a safe and effective way to reduce fat non-surgically on the abdomen, lower stomach, upper and inner thighs, upper arms, buttocks, back, flanks, and underneath the chin. More than a million procedures have been safely performed to date, reinforcing the FDA’s decision. Shortly after the procedure, many patients experience at least one or two minor side effects that go away quickly. These issues include temporary stinging, tingling, numbness, swelling, redness, bruising, or pain of a mild nature. The treated area may feel tender to the touch, and the skin may feel itchy or sensitive to touching. Typically, numbness and swelling will go away within 1 to 2 weeks. A small number of people may experience a side effect of a more serious nature. It is called paradoxical adipose hyperplasia and involves the treated fat cells growing in size rather than shrinking. Is there anyone who should not undergo this procedure? Fat freezing isn’t an optimal procedure for everyone. People who suffer from paroxysmal cold hemoglobinuria, cold agglutinin disease, or cryoglobulinemia do not make good candidates and should not go through the CoolSculpting process. Obese patients who are looking to lose a large number of pounds are not good candidates for this procedure. They should not consider it as a good option for their weight-loss goals. Ageless and Beautiful does offer other weight loss treatments like liposuction for more drastic weight loss and other weight loss treatments. Since treated fat cells die and are eliminated from the body, the intended results are permanent. Are special diets, supplements, or exercise routines necessary? You do not need to begin special diets, take supplements/pills, or begin new exercise routines once you’ve undergone fat reduction. You may discover new motivation to do do so once you begin to notice your body’s new physique. *Results may vary patient to patient. Coolsculpting results are not guaranteed.